Dr. Owen-Wilson is a culturally sensitive licensed clinical psychologist who has been providing both psychotherapy and psychological assessment services in the Bay Area for 11 years. She has extensive experience conducting psychodiagnostic and neuropsychological assessments with children and youth in Alameda and San Francisco counties. She also previously supervised students who were learning how to conduct psychological assessments at the American School of Professional Psychology at Argosy University. 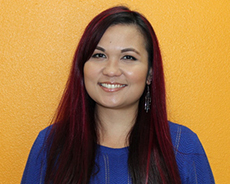 Dr. Owen-Wilson completed her pre-doctoral internships at La Familia Counseling Services in Hayward and at Asian Community Mental Health Services in Oakland. She completed her post-doctoral residency at WestCoast Children’s Clinic. Dr. Owen-Wilson also provides psychodiagnostic assessments, individual and family therapy in her private practice in Burlingame.